Community-based organizations across the United States are working to build sustainable local economies, eliminate dependence on dirty energy, and create resilient communities in the face of climate change and economic inequality. The Beloved Community Center is one of them. Based in Greensboro, NC since 1991, the Beloved Community Center is working for a social and economic system that realizes the dignity, worth and potential of every person. 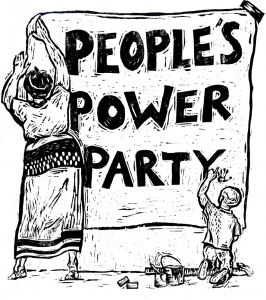 This Saturday, we’ll join them at the Peoples Power Party. The gathering will showcase bottom-up solutions to the challenges of environmental racism and pollution. Energized with music and local food, the event will feature workshops, skill shares, and information tables addressing clean energy, coal ash activism, voting rights and registration, DIY energy efficiency, green jobs and economic justice. We’ll be hosting a film series at the Peoples Power Party featuring Faith In Solar, Coal Ash Chronicles, Life in The Sacrifice Zone, and The Cooperative Solution. Come watch and talk with the filmmakers and movement makers featured in the stories! The short video above was produced by Working Films’ Campaign Coordinator, Andy Myers. The music is by Cakalak Thunder, a drump corps based in Greensboro.